I was never a big fan of Flint growing up. The version I was more familiar with was the one from the comics published by Marvel, where he did not appear all that often. I never really watched the cartoons, and I must say that his latest portrayal on the movie screen did not do anything to change my perception of the character. 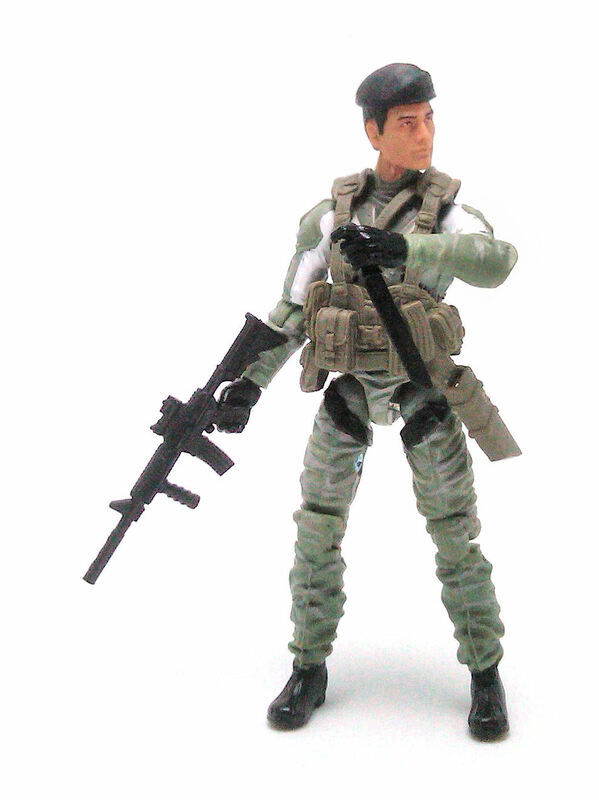 However, as a toy Flint does fare rather well in the Retaliation line. 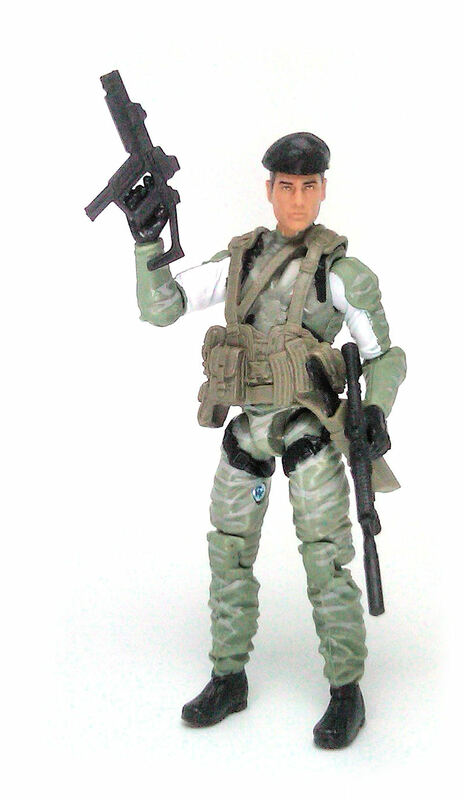 Flint is depicted wearing one of those new sporty/military outfits favored by Hasbro these days. The torso mold has been used before for several other characters in this line and it has these hard plates sculpted on. The head is a completely new sculpt supposed to be a portrayal of the guy who played Flint in the movie. Thing is, the toy seems to project so much more personality than the “actor” who played the role that it really doesn’t even matter if the portrait is accurate or not. 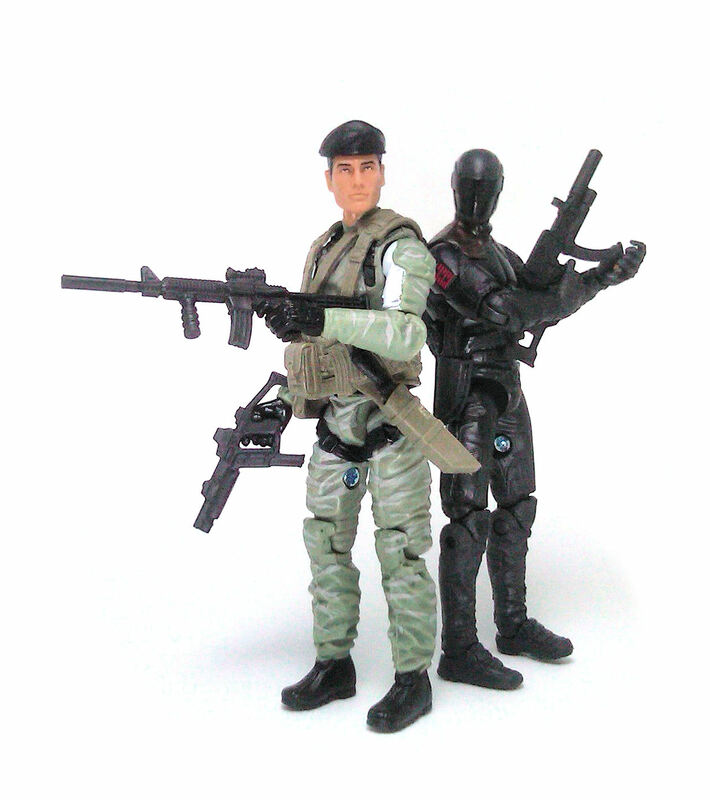 This articulation model is every bit the modern equivalent to the old time O-ring Joes, which I think is still pretty decent today. The torso joint does have some limitation because of the removable rubber vest, but Flint still has a good range of articulation. The paintjob is minimal, to the point that it feels downright insufficient. The actual paint applications are neat and crisp, but the gray paint used for the camouflage on the uniform is way too close to the color of the plastic underneath. 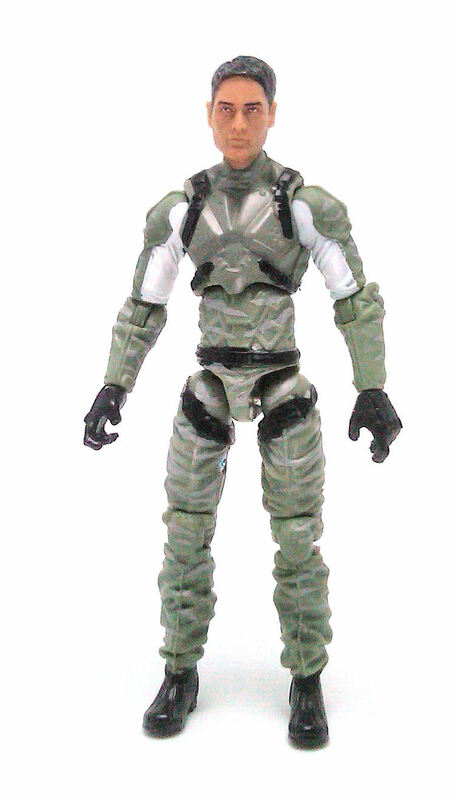 Flint comes equipped with a pale green rubber vest which uses the same mold as the one that came with the Alley Viper from this line, a black beret, a Colt assault carbine, an automatic weapon of indeterminate make and a machete that he can sheath onto the vest. 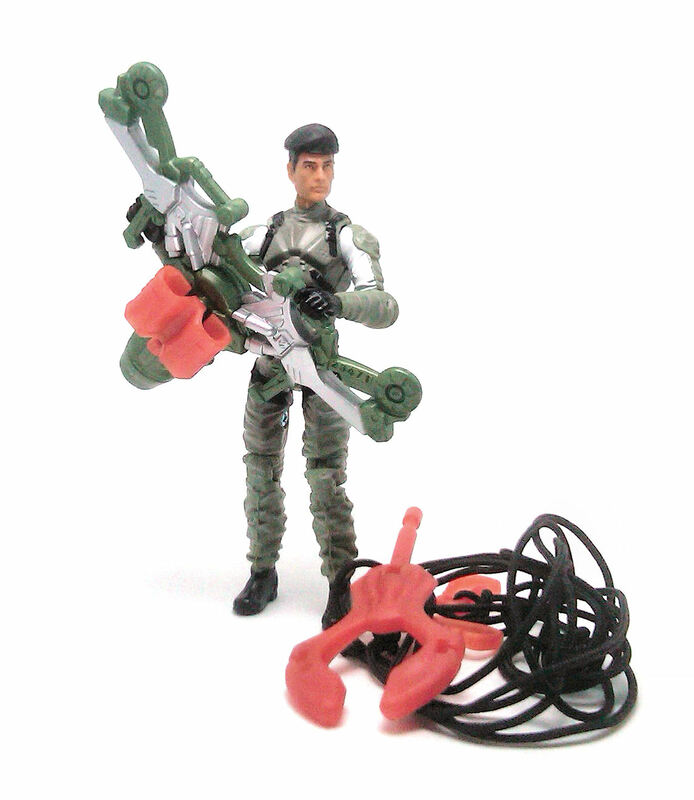 Additionally, Flint also come with one of those huge accessories that integrate a spring loaded launcher with a zip line harness and a projectile with a length of cord running through it, with plastic hooks at each tip. As a whole, Flint turned out to be an OK figure, but I can’t shake the feeling that it would have been so much better if Hasbro had simply issued this same head sculpt on the G.I. Joe Trooper body and call it a day. I’m tempted by him, just for the beret.